In providing the best service to customers,AsCi mostly associates itself with established products as well as niche technology, which shall be able to benefit customer significantly. 1.AsCi have been appointed as the technical consultant to Monosys whom has the right to market the Spotlite Smartantenna product. Smart antenna is a new generation mobile network antenna based on a multi beam switched antenna concept. 3.AsCi represents ABCOM for the best mobile antenna systems apart from it names as the engineer for a mobile repeater systems. 5. AsCi represent TYCO rectifier system and a locally assembled MSB Batteries for DC power requirement in telecommunication . Microwave, Spread Spectrum and UHF/VHF Radio modem. AsCi associate closely with Alcatel in promoting their wireless transmission technology, the PDH/SDH Microwave Radios and LMDS technology. AsCi’s customers start with the like of major mobile operators in the country Celcom, Maxis, Timedot Com and DIGI Telecommunication. Apart from supplying mobile equipment and accessories, AsCi provide services in installation of BTS equipment, SDH transmission equipment, radio system, and power systems. AsCi have also introduced a technology driven solution in improving customers network. 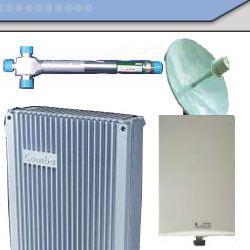 It has been in the talking, providing Smart antenna solution for the customer.